It’s that time in the season to think about next winter and lock in the best prices on season pass deals, not just for your favorite mountain in the East, but for a destination out West. With average day ticket prices north of $125 at major areas out West, buying multi­mountain passes is a trend that is here to stay. The number of areas participating has grown substantially in the last five years, including Vail Resorts’ Epic Pass, the Mountain Collective, the M.A.X. Pass and Peak Resorts’ pass, to offer the best opportunity to access skiing at a reasonable price East or West. “The consumer wins if willing to commit early,” said Christian Knapp, Aspen Skiing Company’s vice president of marketing. Knapp helped launch the Mountain Collective Pass in 2012, which will offer 16 destinations next winter including Aspen, Sun Valley, Jackson Hole and Snowbird plus newcomers Sugarbush, Vermont and Snowbasin, Utah. “When you do the math on a $399 Mountain Collective, which gives you three days at one resort, plus two days at all the other resorts, plus 50 percent off the day rate if you need additional days, plus a $1 kids’ pass, you can’t touch it,” he added. Starting on Tuesday, a limited number of Mountain Collective passes went on sale at $399 offering spring pass purchasers a bonus day at their destination of choice and two additional days at global affiliate resorts: Valle Nevado, Chili; Hakuba Valley, Japan and Chamonix Mont Blanc, France. 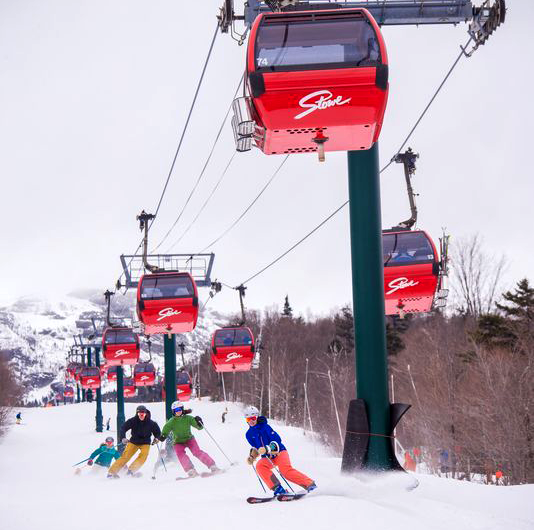 Friday, Peak Resorts went live with its season pass deals keeping prices the same as last year for its seven resorts in the East including nearby Jack Frost/Big Boulder and Hunter as well as Mount Snow and Wildcat. The Explorer pass is $599 for unlimited skiing all season. “Our passes also include spring skiing for the rest of this season,” said Jamie Storrs, Mount Snow’s communication manager. Passes can be purchased now with $99 down to take advantage of the deal.